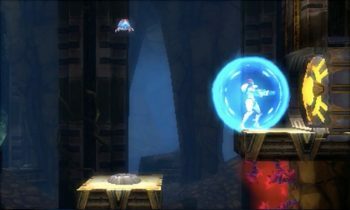 A decent Metroid is something that fans have been clamoring for in the recent past.Â Not since Metroid Prime have the fans been given something of great quality that lives up to the Metroid name.Â Prime 2 and 3 were decent at best yet failed to live up the high standard set by the first entry in the series.Â Other M, while still having its âdefendersâ out there, ultimately did not live up to the hype and was widely panned by critics and gamers alike, while the more recent Metroid Prime Federation Force received the same criticism that wasnât worthy of the âPrimeâ title. While being a remake of the classic Metroid II: Return of Samus, this latest entry feels anything but.Â Other than the obvious upgrade in the graphics department, Samus Returns sports a new soundtrack and new abilities aplenty while maintaining the story and overall objective from the Gameboy classic we all enjoyed back in 1991â¦given that you were alive then. Perhaps the most obvious new inclusion to this re-imagining are the Aeion abilities.Â The more useful of these is the scan pulse which when used will reveal nearby breakable objects and map information.Â These abilities are tied to your Aeion energy meter so once it is depleted you will not be able to use the abilities until you restore that energy.Â The meter can be added to by way of finding Aeion reserve tanks to increase the maximum energy you can store. Some might see this as an enhancement that takes away somewhat the exploration factor of the game, something of which the Metroid franchise is known for. 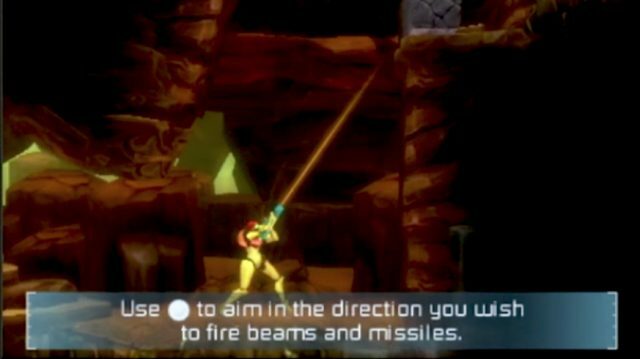 Additionally, Samus Returns features a couple new abilities to add to your arsenal such as free aim which makes it easier to target however with one caveat being that you cannot freely move while taking aim.Â While it doesnât take long to get use to, after using it one wouldnât be able to imagine playing another 2D Metroid without it.Â It is incredibly useful especially when used in conjunction with the melee counter.Â With this move you are able to parry any oncoming attacks with correct timing which makes combat that much more engaging. There are 40 metroids in which you must track down and defeat with each becoming more advanced than the previous.Â In this regard, they serve as a âmini-bossâ of sorts utilizing attacks such as energy bursts or disappearing into walls to force you into an adjoining room to continue the battle.Â The boss battles are much like youâd expect from a 2D Metroid with all the previous bosses from Metroid II being intact albeit a new makeover with a few ânewâ inclusions being Diggernaut and Proteus Ridley. While playing the game since its release last Friday, one thing I feel I should address is that the title seems to do a little handholding.Â What is meant there is that you acquire new weapons and abilities fairly quickly as opposed to previous outings.Â Within the first hour of play I had acquired quite a few missile expansions as well as the morph ball, the spider ball, bomb and the ice beam. Overall the game is fantastic and quite possibly one of the best, if not the best, 2D Metroid titleâ¦.okay so Iâm still a little partial to Super Metroid.Â If the reviews coming in for this title isnât any kind of testimony to the quality of this title, then take it from us, do not be shy to pick this one up.Â It is sure to be a gem among your 3DS library. One has to question why Nintendo chose the 3DS for this title over the Switch.Â While the 3D in Samus Returns is quite amazing, the 3DS is most certainly at the end of its lifespan so one would think Nintendo would have used this title to build up the already fantastic and growing library of the Switch in order to make its newest system more desirable but in the end, the game works fantastically on the 3DS and is most definitely the 2D Metroid we have all been craving for the past several years. You owe it to your inner Metroid fan to pick this up and if you have never played a Metroid, there is no better place to start than Samus Returns.